James Maclennan was born in the township of Lancaster, Upper Canada (Ontario), on March 17, 1833. He was the son of Roderick Maclennan and Mary Macpherson. After graduating from Queen's University with a B.A. in 1849, he stayed in Kingston, Canada West (Ontario), and enrolled with the Law Society of Upper Canada as a law student in 1851. In 1854 he began articling in the office of Alexander Campbell, Sir John A. Macdonald's former law partner. Called to the bar in 1857, he practised law in Hamilton for two years before moving to Toronto and joining Oliver Mowat to establish the law office of Mowat, Maclennan & Downey. He had a short and stormy political career. He was elected to the House of Commons in 1874, but the election was declared void shortly after. Later that year, he was re-elected in a by-election, but that too was declared void in the fall of 1875 and his opponent took over his seat. He returned to his law practice and in 1888 was appointed to the Ontario Court of Appeal, a position he held for 17 years. On October 5, 1905, he was appointed to the Supreme Court of Canada. He served on the Supreme Court for three years and retired on February 13, 1909. 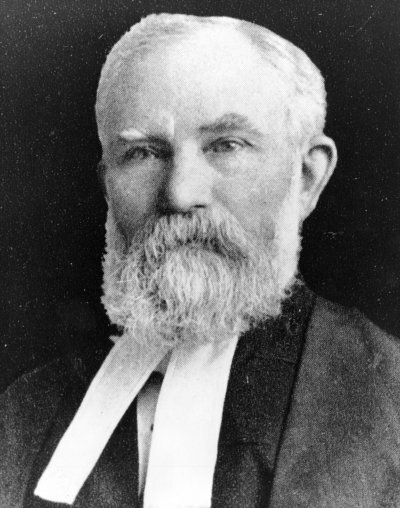 Justice Maclennan died on June 9, 1915, at the age of 82.